Create a transportation system for Xen! Build the transport and points for the player to travel between using 'it'. The entry can be any kind of transport: the more original the better. The transport itself doesn't necessarily have to be a native Xen thing, and it doesn't have to be in a floating part of Xen, either. 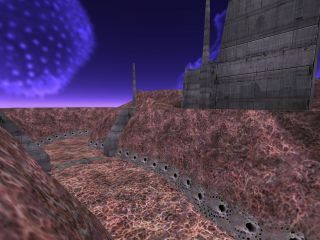 Xen is generally thought of as a bad idea, but it doesn't all have to be lousy jumping puzzles and floating platforms, as these maps show. Well done to those who entered; while we received eight entries this time, though, we're still not getting as many as we have done for various previous competitions. I hope interest increases for MuzzleFlash's competition, which will be announced soon. Special mention goes to alexb911's interesting Xaves, which I rather liked, unlit as it is. The terrain in this map is superb, with convincingly created hills and caves, set obviously in Xen. The transportation featured is perculiar and excellently done. It's rather remeniscent of HL2, in fact, as are some of the textures. It's a little short, but definitely a worthy winner. 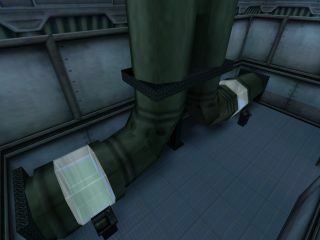 This was probably the most Xen-based map. It had good brushwork, such as the terrain, some funny little bits, and even a little storyline. The teleports featured aren't exactly original, but there's a nice vehicle at the end. It's mostly for decoration, though. This epic tale is by far the longest entry submitted to this competition. The requirement for quite so many level changes is slightly perplexing, but it's evident that a lot of work went into this. Some of the special effects are excellent, and there're some custom resources, which make a change. 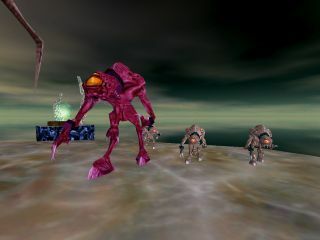 The link to Xen is a little thin, though, and it's a bit repetitive in parts. Processed in a ridiculously greedy 1109 milliseconds.